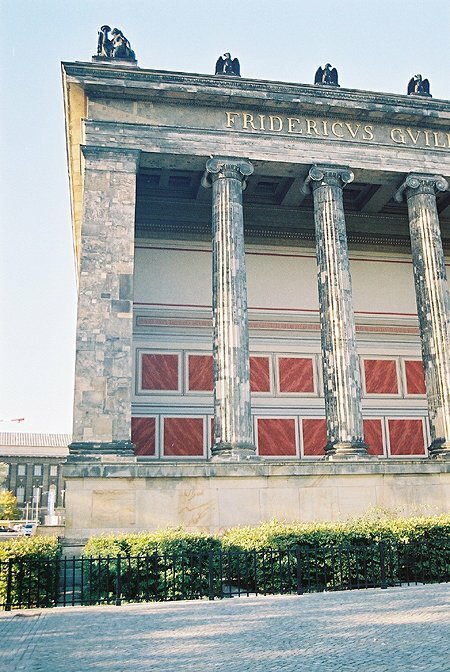 A monumental collonade of Ionic columns creates the facade of this prominent museum that was built opposite the king’s palace. This created a fine public garden with the palace, the cathedral and the museum on three sides and bounded by the river on the fourth. The palace was demolished after the Second World War. The building is placed on a large plinth partially as a damp barrier and for dramatic impact. It also provided office accommodation and storage and the internal rooms are lit by basement windows on the other facades. 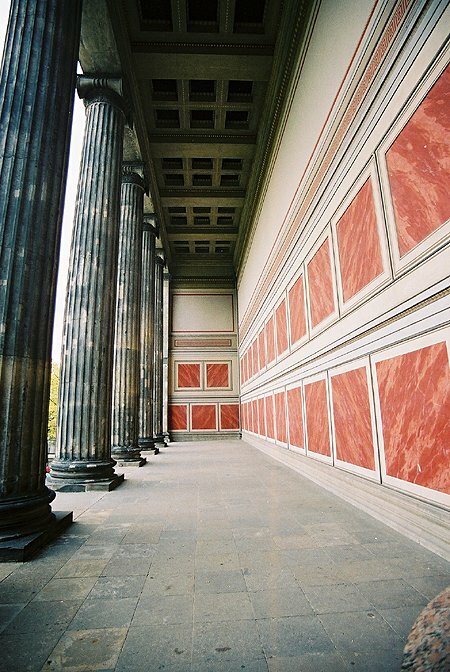 The row of eighteen columns created a long Stoa which originally displayed paintings by Schinkel (which were completed by others after his death). These have since been destroyed. The two bronze sculptures that adorn the monumental flight of steps are by August Kiss and Hubert Wolff. 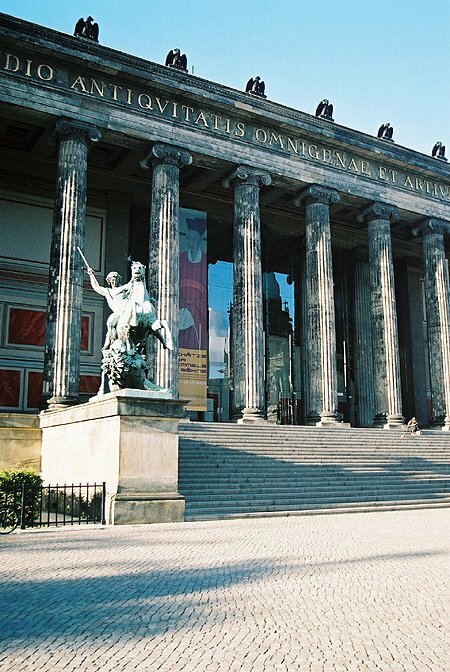 So originally, the visitor to the museum would have their visual senses assaulted by art and architecture even before they entered the building. A five bay opening with four more Ionic columns leads to the central vestibule. The interior of the building contains two courtyards as well as a magnificent central drum and rotunda. This was based on the Pantheon and was where the most treasured works were displayed. In postwar reconstruction, the dimensions of the drum was reduced but its discovery still surprises as it is not visible from the exterior.